India’s longest bridge, the Dhola-Sadiya bridge built over the Brahmaputra river in Assam will be inaugurated by Prime Minister Narendra Modi on May 26’ 2017 near to India-China border. After the inauguration, the Dhola-Sadiya, would be the longest river bridge in India with a span of 9.15 Km. This bridge is 3.55 Km long as compared to the Bandra-Worli sea link, and this makes it the longest bridge in the country. Also, this bridge is capable of withstanding very heavy weights such as a 60-Tonne Battle tank. The celebrations of NDA government’s three successful years of completion and inauguration of this bridge would be kick started by the Prime Minister from this eastern-most part of the Assam. 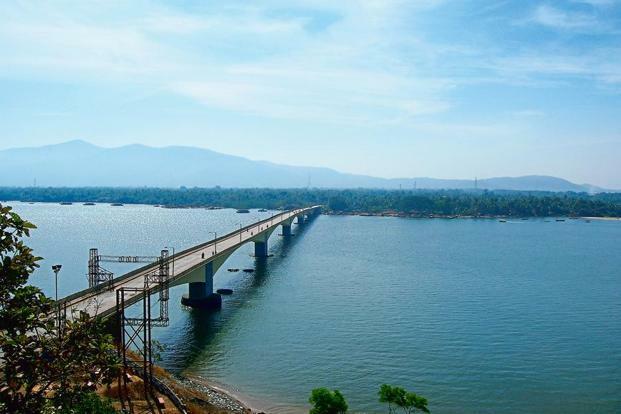 This bridge is being viewed as the Indian attempt to shore up the defence requirements alongside the Sino-Indian border, specifically, in the Northeast. Another vital purpose that would be served by this bridge is providing an easy access to the people of Assam and Arunachal Pradesh with the rail and air connectivity. This is, undeniably, a strategically vital bridge, and PM Narendra Modi will dedicate this imperative piece of infrastructure to the people of the country on 26th May’ 2017. It will not only bolster the road connectivity in the Northeast region (which is often considered disconnected with the rest of the country), but, would be extensively used by the Indian armed forces for securing the borders of the country. The bridge is located at a distance of 540 Km from Dispur, the capital of Assam and 300 Km from Itanagar, the capital of Arunachal Pradesh. The aerial distance of the China border from the bridge is less than 100 km. This bridge will cut down the travel time between Arunachal Pradesh and Assam by about 4 hours. The construction of this bridge began in in 2011, and the project cost estimated at the time of commencement of the project was 950 Crores. It has been designed using the contemporary technology, and is capable of withstanding the movement of the military tanks without any risk. Arunachal Pradesh and Assam have colossal strategic value to the country, and this bridge will serve as a vital asset to the country and these states. At the time of conflict, it will support quicker movement of the artillery and military troops, something, which was not available till date.